As the end of the year approaches, teachers are often looking for engaging activities to keep their energetic students on task. Perhaps you might want to consider taking your students on a virtual field trip to explore art museums from around the world. Google Art Project is an interactive website that uses the same street view technology you’ve probably seen in Google Maps to allows visitors to virtually explore museums and view hundreds of pieces of art. Even better, visitors can view them at incredible zoom levels to get even closer than you could if you were actually standing in front of the original painting. Visitors can even create and share their own collection of masterpieces. I have collected some interesting suggestions for classroom use and used Kwout to publish the screenshots and attribution you see below. Clicking on the link under each excerpt will take you to the full blog articles referenced, and in most cases lead you to more ideas for integration. Have some good ideas of your own? Please consider sharing them here through a comment. As an instructional tech facilitator my goal is to help teachers progress through the stages of technology adoption to get to the point at which they are using technology as a tool for learning, rather than using it as an add on to supplement traditional learning activities. To do that successfully, teachers must adjust their roles, moving from traditional teacher to learning coach or facilitator. Jonathan Bergmann and Aaron Sams are a couple of innovative teachers who have developed an approach to teaching and learning known as The Flipped Classroom, which certainly supports the idea of teachers as learning coaches. 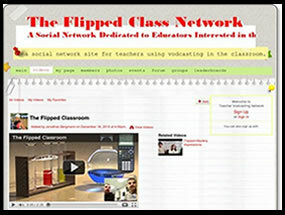 If you want to learn more about The Flipped Classroom, please watch the video below and also check out The Flipped Classroom Network, a social network where Flipped Teachers share their experiences and learn from each other. As for me, I am excited to Flip the professional development classes I’m teaching this summer. The Free Tools Challenge is a great online professional development opportunity for busy teachers provided by Edublogs. Designed to help participants learn to use free Web 2.0 tools, this 30 day challenge encourages us all to try one new tool each week through challenge activities created by by guest bloggers. I got the opportunity to be a guest blogger for the challenge and the activitiy I created, Free Tools Challenge #25: Using Jog the Web in the 24/7 Classroom, was published earlier this week. Each of the Free Tools posts featured on the blog are complete with directions, suggestions for use in the classroom and opportunities for discussion. In my opinion the challenge is certainly worth taking. 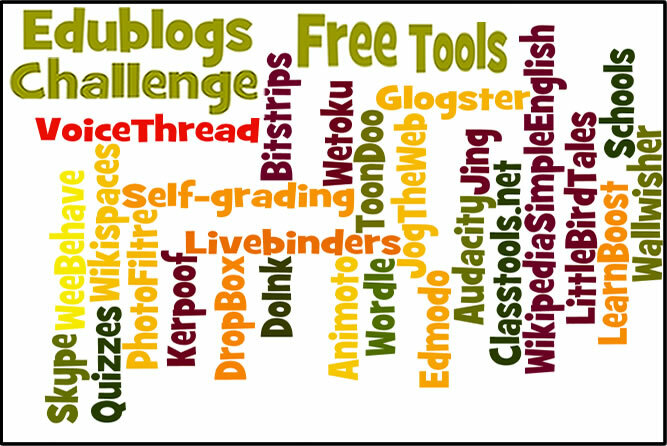 If you are interested in learning innovative ways to use free Web 2.0 tools and also expanding your PLN at the same time, please check out the Edublogs Free Tools Challenge. You can find links to all the previous challenges in the sidebar on the left of the blog. Follow on Twitter to keep up with future challenge posts as they are published. Text Compactor is a free online tool for summarizing and simplifying text. It is extremely user-friendly and requires no login so it’s a perfect tool for students to add to their own toolkits of resources. Just copy and paste some digital text into the box, use the slider to determine the percentage of text you want to end up with, and view the simplified text. Use it as a tool to help struggling readers of all ages. Try it at textcompactor.com. 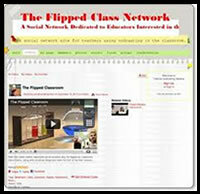 One of the best ways to use JogTheWeb is as a tool to create flexible, guided activities to help all students learn. It’s easy to design a Jog for success if you set a goal of providing students with multiple ways to access and acquire information. Design your lessons to include video, text written at a variety of reading levels, simulations and interactive websites then see if it makes a difference in the success of all students. Take a look at a very simple Jog I created, Let’s Explore the Nervous System, to view multiple ways to present information to students. Photosynth is a cool tool for capturing and viewing the world in 3D. 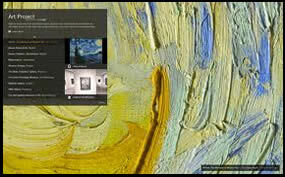 This tool takes a series of photos and weaves them together to create a virtual tour. You and your students can explore the many photosynths already created simply by visiting the website, or create your own by signing up for an account. Please enjoy this photosynth of the Chicago Skyline.